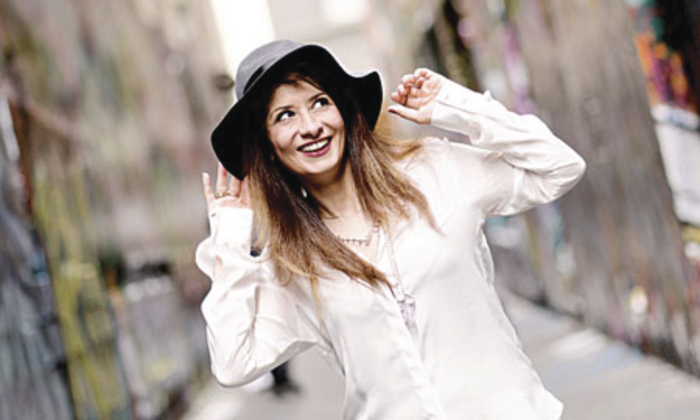 THE DAUGHTER of an exiled writer and comic from Iran, Shappi Khorsandi’s upbringing was in no way conventional, but what a story, and what comedy, she makes from it all. From mental illness to opium dens, it has all gone on in the Khorsandi household as she will explain in her show, Because I’m Shappi, at the Róisín Dubh on Saturday October 18 at 8.30pm as part of the Vodafone Comedy Carnival Galway. Comedy is a family business for the Khorsandis. In Los Angeles, Shappi performed in a seven week sell-out run with her brother in How to be Iranian. Other work in America included a month-long tour supporting her father in his stand-up show. Shappi’s solo shows have included Asylum Speaker (2006 ) and Carry on Shappi (2008 ). She has appeared on Have I Got News For You and is a sought after cultural commentator, appearing on ITV’s Sunday Edition, BBC Radio 4’s Woman’s Hour, Radio 5 Live, BBC World Service, as well as in The Guardian, The Independent, and Metro. Shappi’s razor sharp wit and dizzy delivery led The Guardian to call her “Britain’s best young female comic by any yardstick” while the Evening Standard declared that her comedy “packs a deceptively powerful punch”. Tickets are €18 from VodafoneComedyCarnival.com; OMG Zhivago, Shop Street, or through 087 - 1000800.